Depending on your current vRealize Automation environment, you can upgrade to the latest version by performing an in-place upgrade or a side-by-side upgrade. You can only perform an in-place upgrade for these paths. 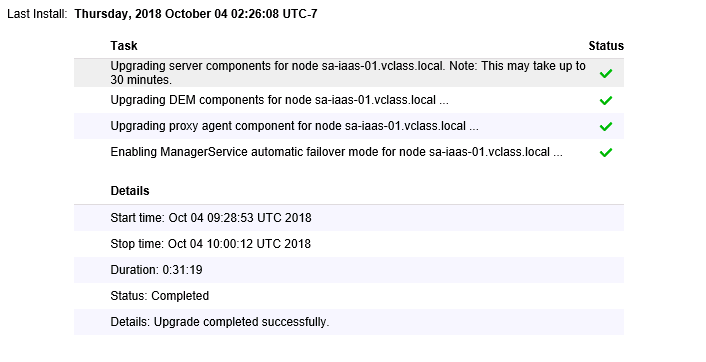 A side-by-side upgrade migrates the data in your current vRealize Automation environment to a target environment deployed with the latest version of vRealize Automation. You can perform a side-by-side upgrade for these paths. Migration does not change your current environment. If your current environment is integrated with vCloud Director, vCloud Air, or has physical endpoints, you must use migration to upgrade. Migration removes all unsupported endpoints and everything associated with them in the target environment. Available updates will shown as below. Then click on Install updates. 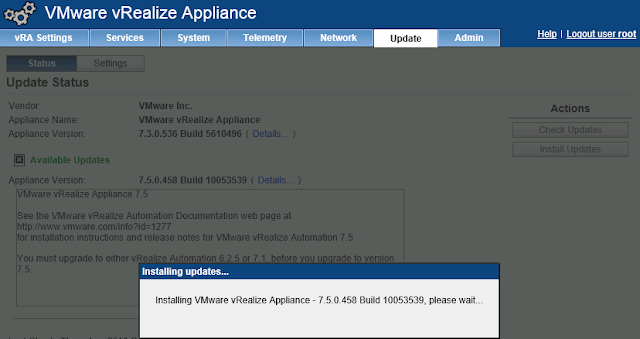 It will pop up the Installing vRA message window. It will take some to complete the upgrade process. 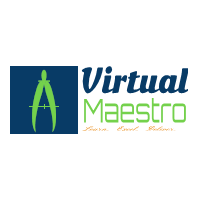 Wait for Pre install and install tasks to complete on vRA Appliance and IaaS component. Wait for Post Install phase to get completed as shown below. 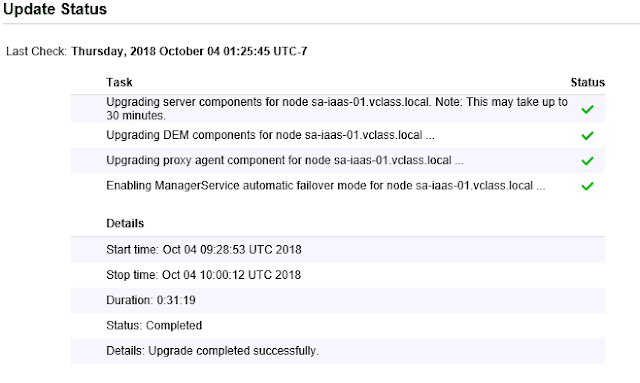 Reboot the vRA Appliance from system action menu. After reboot, verify that vRA appliance is updated to latest version.